The cultural centre point of the Tongwe people has changed since evictions in 1973. Now settled in Ntadaka, 25 km from Mahale, the Tongwe Trust was formed in 2002 and aims to establish the people into a new cultural heartland in and around the forest in order to keep the culture alive and provide protection for the wildlife that lies within. To unite the Tongwe people with the Ntadaka forest, training rangers from among the villagers to initiate narrow-gauge conservation methods in order to protect this pristine forest’s wildlife at low cost. The Mahale Mountains are the original homeland of the Tongwe people, an ancient forest tribe with roots in the Congo basin. The Tongwe trust was formed in 2002 with the aim of establishing a new cultural heartland for the people that live here after being evicted in 1973 and moved to larger settlements on the lake shore. Whilst the new towns meant guaranteed education and healthcare, it also brought exposure to land disputes as well as the erosion of traditional belief systems. In 1985 when the Mahale Mountains was declared a national park, the door closed on any chance of return for the Tongwe people to the land of their ancestors. This led to the formation of the Tongwe Trust, a project that supports local initiative with the explicit aim of creating a new cultural centre for this people. 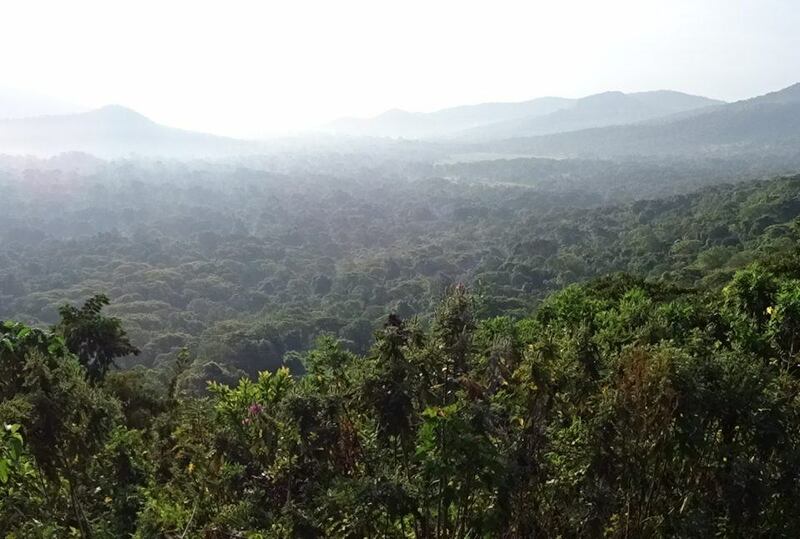 Since its formation, the trust has pieced together community-leased land to form a protected ecosystem in the remote mountain forests of Ntadaka, about 25 kilometres from Mahale. The area is a pristine wilderness of about 120,000 acres containing any number of endemic birdlife, as well as chimpanzees and elephants. Today the trust employs a full force of rangers and scouts from the local village that patrol the area on foot or mountain bike. As well as being a cheap way to run and energy efficient this minimises intrusion on the forest. Some of the equipment that the rangers of the forest are using is over 30 years old, including the bikes that they use to get around. Buy-a-bike is a scheme that, hand in hand with Wild Philanthropy, works to give potential donors / investors the chance to buy equipment for the Trust to use, which includes but is not limited to camping kit, uniforms for the rangers and new bikes and accessories, such as head-torches, helmets, puncture repair kits and chain grease. 1. Strengthening staff team and increasing the sustainability in all aspects of the project. This will involve rigorous training for new rangers provided by seasoned staff, as well as new equipment such as bikes, uniform and camping kit. 2. Strengthening relationship between community and the land and increasing knowledge of environmental issues among the village so that increasing pride and sense of ownership of the forest occurs. 3. Income generating activities developed: beekeeping project and tourism enterprises such as off-piste camping trips in the forest and building a cultural centre. 4. Social projects developed and implemented: community groups, microfinance, vocational training centre and a health clinic. Wild Philanthropy is working closely with itad to produce impact reporting documents to assess what impact donations and investments have on an annual basis in Tongwe Land. To find out more about Tongwe Trust, get in touch with us today.